Offers available until 30.04.19 while stocks last. Please call telesales on 01244 390929 if you require further information on any of our products. 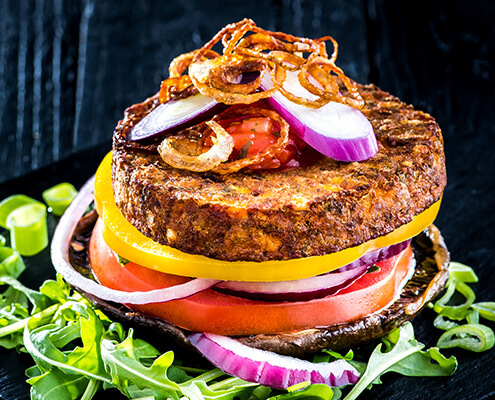 Delicious uncoated burger made from a mix of lentils, grated carrot, onion, spring onions, delicately seasoned with garlic, cumin seeds, coriander and cayenne pepper. A great accompaniment to all steaks and grills. 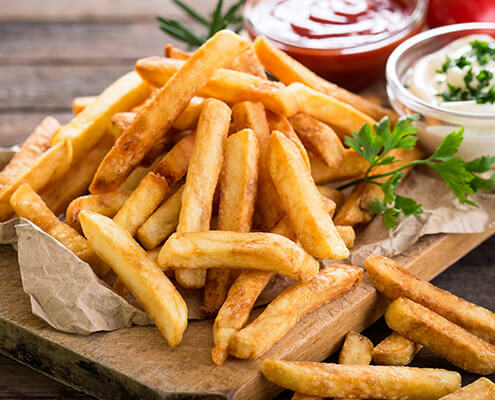 Load onto a burger or stack high with a choice of dips for a bar snack sharer. A moreish mix of cheese, mozzarella and yeasty light blond beer coated in a rustic oat-flecked crumb. Creamy mash potato bites with a rich gravy filling coated in a crispy gluten-free breadcrumb. 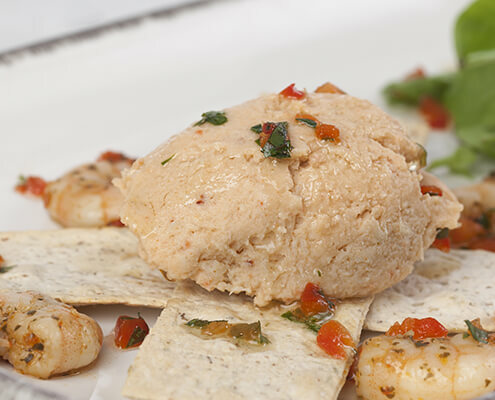 Serve as a bar snack, starter, side dish or a sharing platter. Approx. 50 pieces. An open gluten free pastry case filled with asparagus puree topped with a creamy cheese sauce and finished with garden peas and Devon blue cheese. Gluten Free. A large open gluten free pastry case filled with cauliflower and broccoli topped with creamy Mornay sauce topped with red Leicester cheese and a paprika dusting. Gluten Free. West country crab set in a creamy parfait. 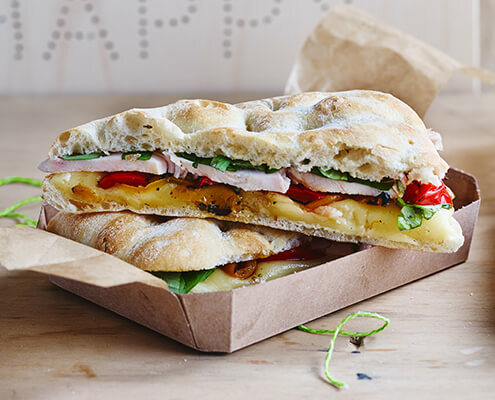 Simply serve with thin slices of toasted sourdough bread and fresh lemon. 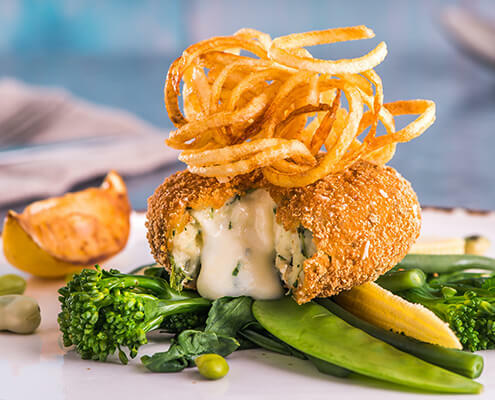 MSC Smoked haddock, spinach and potatoes filled with a rich creamy Cheddar cheese sauce, coated with gluten-free breadcrumbs flecked with rice flakes. Prime pollock fillets in a crispy tempura batter. 160-200g. Seafood cakes with Thai curry flavour coated in a light crispy golden breadcrumb. 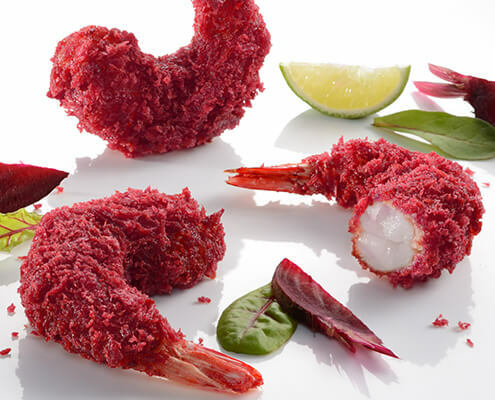 Succulent prawns coated in beetroot flavoured panko crumb. Individually vac-packed salmon portions topped with a lemon and pepper marinade. Smoky aromatic hearty tomato stew made with butter beans and chargrilled sweet potato and vibrant whole leaf spinach. Smooth sweet and colourful coconut milk-based sauce spiced with turmeric. 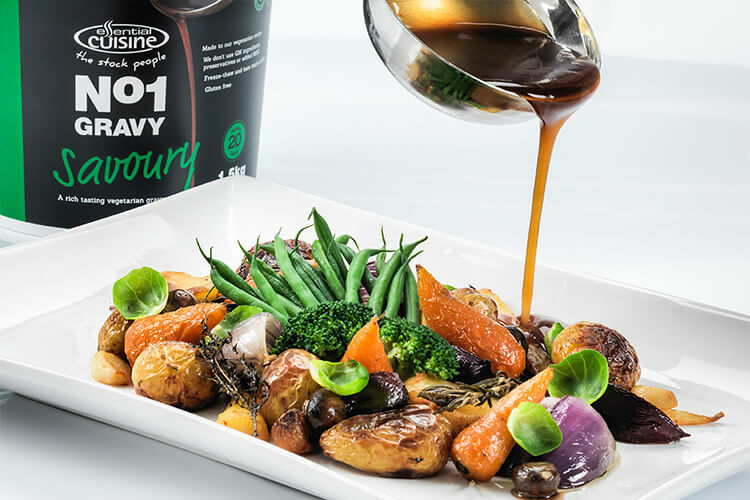 Paired with plenty of vibrant vegetables, sultanas and chickpeas to provide a burst of sweetness and great texture. 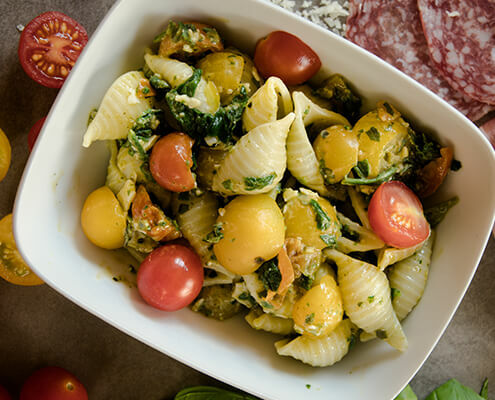 Spinach, red and yellow cherry tomato, basil, olive oil, garlic, pine nuts and Parmigiano Reggiano. Chickpea, quinoa, sweetcorn, tomato, olive oil, coriander, mixed herbs and pepper. Tomato, aubergine, courgettes, onions, red & yellow grilled peppers, olive oil, thyme and parsley. 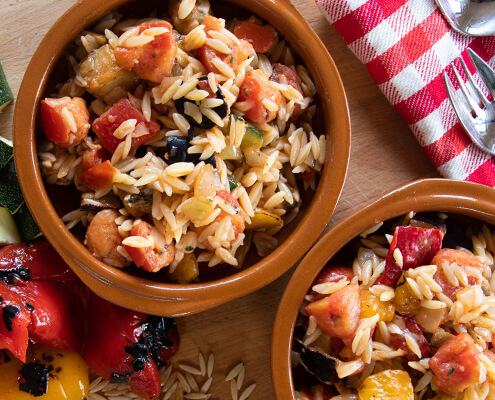 Suitable for salads, roasting, stir-frying or steaming. Traditional French wheat bread with sourdough and a little rye, baked on stone. Free from additives. 41cm. Traditional Tuscan flat bread, a type of focaccia from wheat flour with extra virgin oil, pre-sliced. 10 x 16cm. 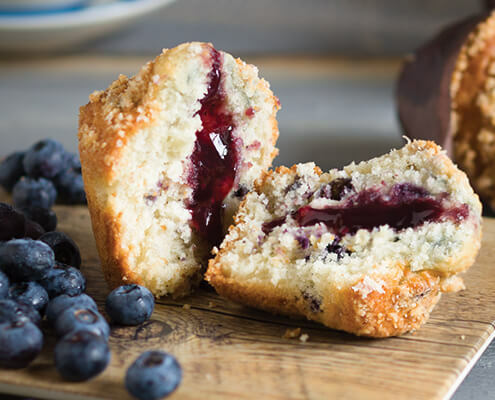 A blueberry flavoured muffin filled in the centre with a sweet blueberry filling and topped with a luxuriant crumble. A zesty lemon flavoured muffin with luxurious milk chocolate pieces, filled with lemon curd and topped with decadent sugar nibs. A sweet vanilla flavoured muffin with dark chocolate chips. Apple flavoured muffin with raisins and cinnamon and topped with wholegrain wheat flakes. Source of fibre and low in saturated fats. 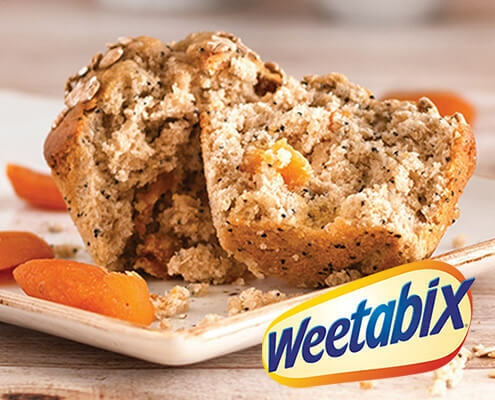 Lightly spiced muffin with dried apricots, oats and topped with wholegrain wheat flakes. A decadent chocolate brownie made with rich chocolate and whipped cream and then topped with lashings of dark chocolate fudge. A moist sticky toffee cake made with chewy dates topped with crunchy golden syrup flapjack crumble. Baked to perfection with chopped pecan nuts. 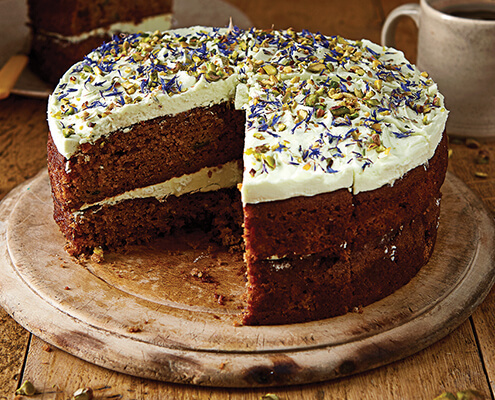 A round moist gluten free courgette and avocado cake filled and topped with sweet avocado flavour frosting and decorated with a sprinkling of pistachio nuts and cornflower petals. Gluten Free and Dairy Free. Luscious lemon drizzle cake made using lemon oil infused with grated lemon zest soaked in lemon juice then finished with crunchy sugar crystals. 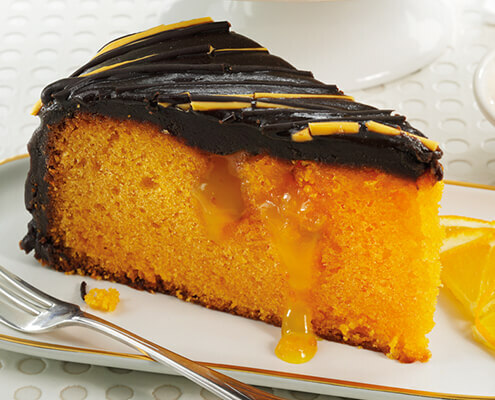 A chocolate and orange swirl sponge injected with orange curd and smothered with rich chocolate ganache. 1681 – Vegan Treacle Tart - Pre/Ptn NEW! Tate & Lyle treacle filling baked in shortcrust pastry until golden brown. Pre-sliced. Vegan. 4002 – Vegan Apple Pie - Pre/Ptn NEW! Delicious Bramley apples encased in golden baked pastry. Pre-Sliced. Vegan & Gluten Free. Melt in the mouth steamed sponge pudding topped with lashings of fruity strawberry jam. A traditional old favourite done to perfection. Serve with lashings of creamy custard. A rich toffee flavoured steamed sponge pudding heaped with sticky gooey toffee sauce. A firm family favourite, lashings of golden syrup cascaded over a melt in the mouth traditional steamed syrup pudding. 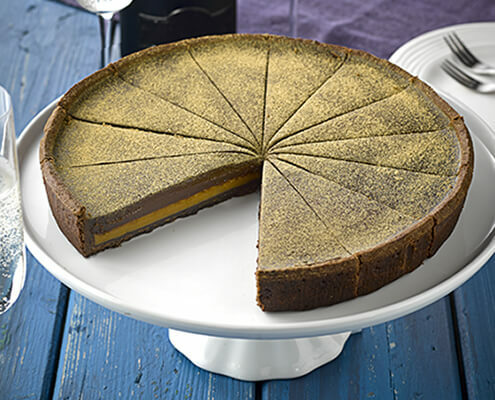 7686 – Vegan Belgian Chocolate Tart NEW! A crisp gluten free pastry case filled with Belgian chocolate ganache. Pre-sliced. Vegan & Gluten Free. 9056 – Vegan Cherry Pie NEW! Succulent red cherries encased in golden baked pastry. Pre-sliced. Vegan. A chocolate cookie pastry case filled with a sticky salted caramel and rich dark chocolate ganache, finished with gold dusting. 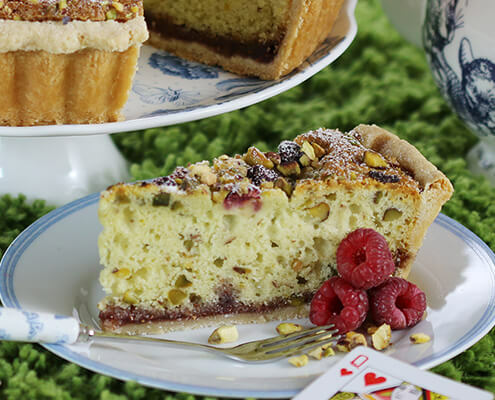 A buttery shortbread pastry case filled with sticky raspberry jam, almond and pistachio frangipan sponge studded with whole juicy raspberries and topped with chopped pistachio nuts. A light crunchy gluten free biscuit base topped with vanilla baked cheesecake finished with heaps of blackcurrants in prosecco sauce. Gluten Free. A gluten free cheesecake with a crunchy gluten free digestive biscuit base topped with our best-selling luxury baked vanilla cheesecake. Gluten Free. A creamy baked vanilla & white chocolate cheesecake rippled with raspberries & topped with a ribonette of raspberry glaze, encased with digestive biscuit crumb, finished with mousse and curls. All products subject to price change and availability.